With so many preloved vehicles on the market, do you know how to pick a great used Chrysler in San Diego? Getting the right car for you will ensure that you have years of trouble-free motoring with a reliable car that has all the features that you need. Start your research online and discover which model years and trims have the features that you are looking for. Once you have decided on the features that you want, it is important to find a vehicle with low mileage for the age of the car. A good figure is less than 10,000 miles per year of service. While we are talking about miles, check the vehicle maintenance records to ensure that the previous owners have attended to routine maintenance and repairs in a timely manner. Regular oil changes keep the engine in good working order. Take a look around the interior of the vehicle and check for wear and the correct functioning of features. If everything works as it should, it is a good indication of a well-maintained vehicle. Check the used Chrysler carefully for indications of corrosion. The floor of the boot and under the spare wheel is a must to inspect. Around the fenders and under the doors are other likely places. Corrosion is most common in vehicles that have been kept in coastal areas and where salting of roads occurs. Corrosion is less likely in hot, dry environments due to lack of moisture but a vehicle may have spent time in a variety of locations. 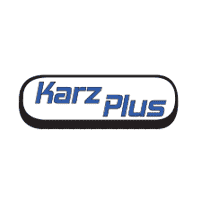 By buying from a reputable dealer such as Karz Plus, you can be sure that the used Chrysler that you are purchasing is clear of encumbrances and roadworthy. All our pre-loved vehicles are checked carefully to give you a worry-free purchasing experience. Come in or browse our inventory online.